Wedding Venues in Bangalore: Check prices, request quotes and check availability for all types of wedding venues including banquet halls, hotels, palaces, farmhouses, tent...Read more houses and marriage halls. For all of your event space rental requirements for the ceremony, reception, sangeet, mehndi and much more, look no further than finding your perfect vendor in our directory of thousands of businesses around India. Bangalore (also called Bengaluru) is known as the Silicon Valley of India, but there's so much more to the capital city of Karnataka than tech. For all its glitz and glitter, it is still "The Garden City" and among the hustle and bustle of the technology sector you can still find historical monuments and green spaces. When it comes to entertainment for you and your wedding guests, Bangalore has it. You can window shop the boutiques, enjoy a full-service spa session, listen to live music, and dance the night away in the clubs. Some call this metropolitan hub a restless city, but a more apt way to describe it might be young. 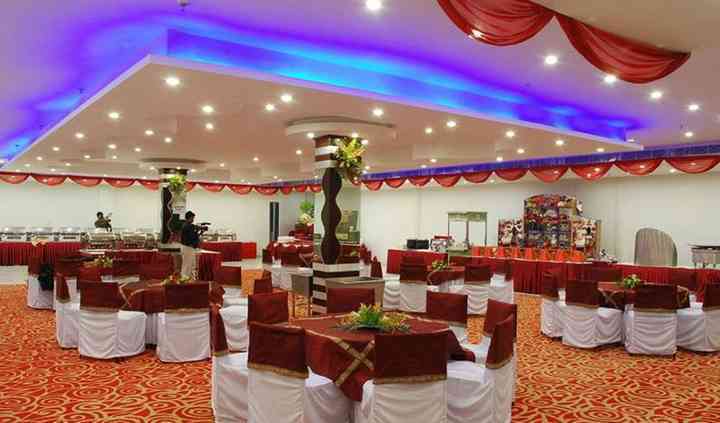 There is an atmosphere of high spiritedness that can be felt in the wedding venues of Bangalore. If that sounds just a little too hip, you might want to check out options in Mysore instead. There's high demand for the wedding venues in Bangalore, which means you should start your search for the perfect one sooner rather than later. Here, marriages are often celebrated in grand fashion with glitzy ambiance, colour, and spectacle. Think upscale, because planning a wedding in Bangalore often means choosing between venues like glowing gardens and picturesque palaces, high-end art galleries and lavish lawns. 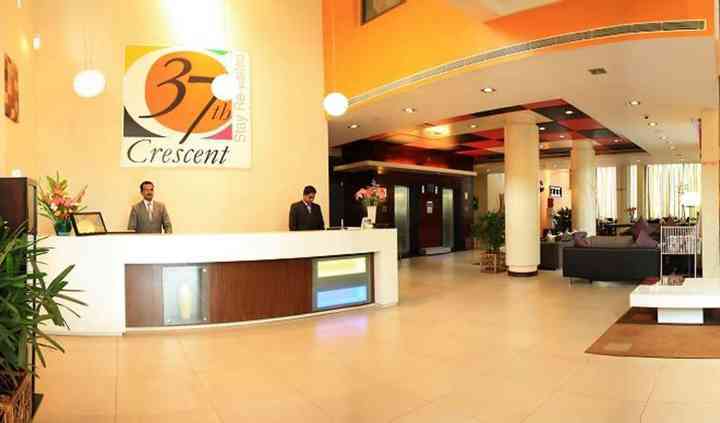 Even the plainer sorts of hotels and special event venues in Bangalore tend to be a bit more boutique than you might find in other areas. There are celebration spaces that will cater to every kind of couple in this beautiful and cosmopolitan city, but expect to pay quite a bit for them. You should have your wedding budget mapped out before you start researching wedding venues in Bangalore because this will ensure you don't fall in love with one that's out of reach. Using a wedding budget planner can help you stay on track through the entire wedding planning process. When you're browsing through the lists of various Bangalore wedding venues, you might begin to feel a little overwhelmed by all of your options. The best thing to do at that point is to think about what you're looking for in a venue and to take all of the ones that don't meet your needs off of your list of possibilities. For instance, you can disregard any venue that won't accommodate your full wedding guest list. And if you want your venue to handle choosing your wedding vendors for you, then you should only be looking at full service venues. 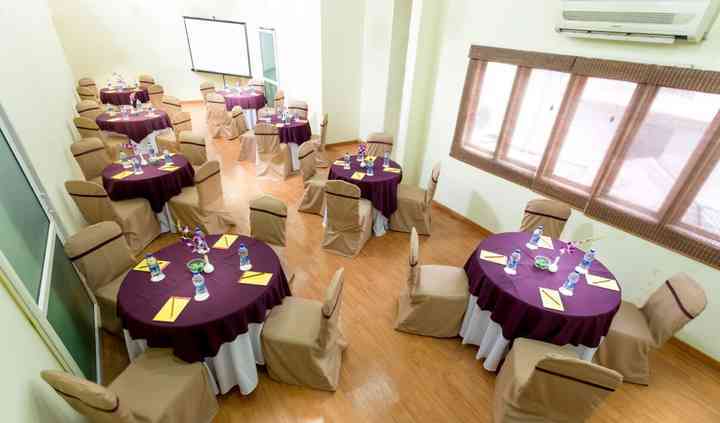 Once you have found a few Bangalore wedding venues that you like (and that are available on your wedding date), reach out to them to set up in-person tours. Visiting potential venues is important because it lets you see what each one actually looks like and it gives you the chance to ask the manager questions. You can ask about anything you like, but the most important questions to ask will be about price, deposits, the on-site vendors, and their cancellation policy. Your visit may last an hour or two, but some walkthroughs are over in just 20 minutes or so. If your tour is fast and you don't get all of the answers you need to make your decision that day, you can always call. Planning a wedding can be stressful, but WeddingWire's comprehensive tools make the journey from your engagement to your wedding day easier. From our wedding vendor manager to our detailed to-do lists, we have everything you need to plan the perfect Big Day.